Connecticut is on the brink of implementing one of the most regressive solar energy policies in the nation. Voters did not go to the polls in November to turn back the clock on clean energy. But if lawmakers don’t fix a flawed law from 2018, new policies that take effect this year will devastate Connecticut’s solar industry and continue our state’s painful exodus of good jobs. How did we get here? Last year the legislature approved sweeping energy legislation that was largely positive. However, as a result of intense lobbying, Senate Bill 9 quietly eliminated net metering, a critical policy that has driven solar energy in Connecticut. Net metering compensates homeowners for the power they export to the electric grid and is offered in 38 states, where it enjoys bipartisan support. But despite the efforts of clean energy advocates and a successful House amendment, net metering was ultimately sacrificed to satisfy extreme ideological interests and secure the bill’s passage in a divided Senate. Eliminating net metering was a dream come true for solar energy opponents — and will be a nightmare for lawmakers’ constituents who want to go solar. The new law will replace net metering with two complicated, unworkable policies at the end of summer. At that time, Connecticut will be the only state in the nation to replace net metering with a policy called “buy-all, sell-all,” which prohibits homeowners from using their own solar energy. Maine is the only state to pursue such a policy, which it calls “gross metering.” It has been incredibly controversial, with former Gov. Paul LePage championing it and the Maine legislature twice voting to eliminate it. After a massive public backlash and millions of dollars in unanticipated implementation costs, Maine’s regulator got rid of the policy for large customers and the legislature is expected to reinstate net metering for all customers soon. Connecticut is currently on track to repeat Maine’s mistakes. The other option provided under Connecticut’s new law will allow homeowners to consume some of their own solar power, but only on a daily basis, or less. If homeowners produce more power than they can use in a given day (or hour, or minute), they must sell it to the utility, likely at a rate less than solar homeowners currently receive. This stands to undervalue solar energy and shutter solar businesses. In addition, Eversource does not even have the necessary electric meters to implement the law’s options — a point Eversource did not share with lawmakers during session. Utilities often claim that homeowners who install solar do not pay their fair share for the electric grid, and impose higher costs on others. This “cost-shift” argument is a tactic from the utility playbook and is commonly used by clean energy opponents. But it lacks any basis in fact. No comprehensive study has been done in Connecticut proving the existence of a cost-shift. The amount of solar is too low to cause one, according to the U.S. Department of Energy. And, any cost must be compared to solar energy’s benefits, which the Brookings Institution found to be greater. Net metering produces benefits for all ratepayers, has helped create more than 2,000 good-paying jobs in Connecticut and supports low-income access to solar energy. Rushing to eliminate net metering in Connecticut has produced bad policy and an even worse process. States such as California and New York have taken several years to study net metering and carefully evaluate forward-looking successor policies. Connecticut lawmakers may have intended to provide the Public Utilities Regulatory Authority (PURA) several years to complete its proceeding, but that timeline has been truncated. Now PURA has been asked to complete its proceeding in only three months, an unprecedented time frame. This rushed process is guaranteed to produce unintended consequences that could cause irreparable harm. In addition to the new policies being substantively out-of-step, there is simply not enough time to carefully develop and implement them. To avert this crisis, the legislature must act this session to maintain net metering. It could also initiate a responsible, thoughtful process to evaluate net metering and determine whether a new policy is warranted. This is not a test. Thousands of Connecticut solar workers are counting on their elected representatives to save their jobs. 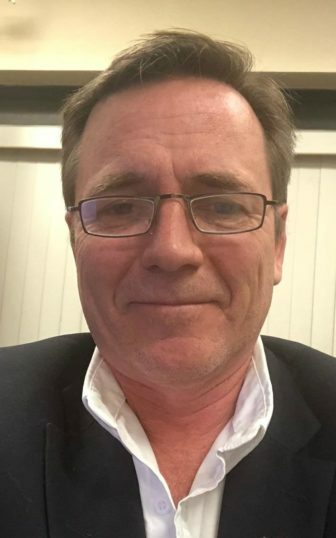 Stephen Pelton is CEO of EcoSmart Home Services, Connecticut’s premier energy audit, insulation and solar contractor.